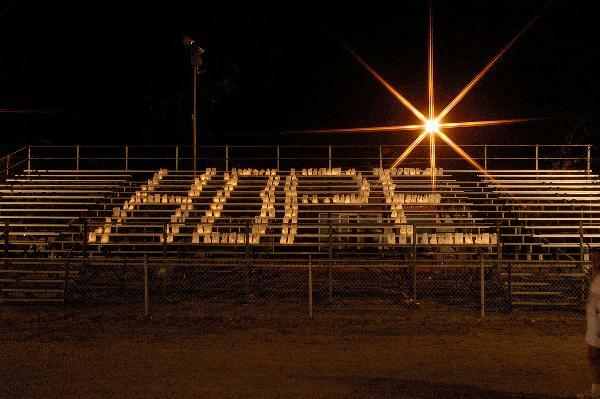 Relay for Life is an extremely amazing event sponsored by the American Cancer Society. I have gone to if for the past 2 years, and I was looking forward to this years event. I had been counting down the days to Relay for Life for a while, and I was so excited when it finally came. In the weeks leading up to RFL, I had been trying to raise money for the cause and needed $100 to participate in the overnight portion. So, I asked all of my family and friends and within just about a week, I raised the money that I needed. Overall, out school team raised $3,210! I thought that was pretty amazing. For that, we received a Bronze Medal award which means that we were a very valuable contributor. I left early with my friend Evan to help set up our booth on Buena Ventura High School‘s track/football field. We decorated our booth with colorful paper flowers in support of this years “fiesta” theme, due to Cinco de Mayo. We also had a lot of colorful posters and other decorations. We sold these paper flowers, ceramic mugs & bowls, and auctioned off themed baskets including chocolate, beach, spa, and movie themes, in order to raise more money for the American Cancer Society. At our booth, we had a lot of fun costumes and hats, and all of the students that came to support the cause dressed up in ridiculous outfits including banana suits and Dr. Seuss attire and walked laps. There was live music, fun games, and many cool and informative booths to visit, with anything from face painting to a bike auction. 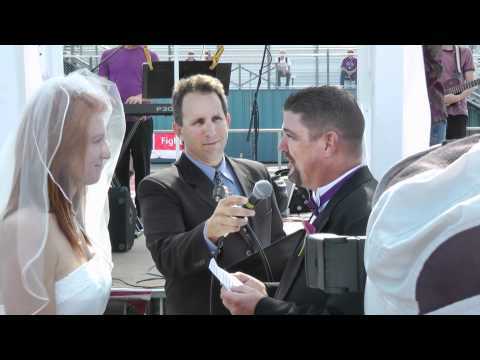 In last year’s event, a couple who were cancer survivors had their wedding right on the field. It was a very special event and meant a lot to them. This year, sadly, the man’s cancer has returned. Fortunately, he was able to show up at the event with his wife, and it was very inspirational. He was walking around and having a good time. It was great to see all of the support they had from people at the event and I’m so glad they were able to come this year. After dinner time, and after returning from a Battle of the Bands contest at Thacher school, my friend Wendy and I returned to the track to walk in the night portion of the event. There were a lot less people walking during the night, and it was very tiring. There were only 5 of us, until at about 12 o’clock, another faculty member and her boyfriend showed up to help us out. I think throughout the night, we managed to keep at least 1 member of our team on the track. Wendy and I took naps in hour increments, but it was too cold to actually sleep, and we would get up from time to walk some laps and warm ourselves up. It was a very great experience. The Luminaria lit up around the track were very inspirational and a reminder that there have been so many people effected by cancer. It kept me walking and helped me realize how lucky I am to not have been effected too harshly by this disease, and also the importance of the support I was giving to this event. Overall, the event was really great and I am so glad I have had these last 3 years to support a great cause. Hopefully, with all the money raised through all the Relay for Life events, more progress will be made in order to minimize the devastating effects of cancer and help find a cure. I am proud to say that was part of the OVS team. We did such a great job and I hope we continue this effort in the years to come. Thank you for volunteering your time to this powerful event.